As someone who often uses low ohm clapton and staple builds that require a high voltage to get a good ramp up, I wonder if the wattage will ever go beyond 200W? Even 220W would be fine with me, cause then I could hit 5V on my low ohm builds. It's not about cl0udz br0, it's about low ohm clapton builds for me, 200W doesn't quite give me the ramp up I'd like. Plus 200W is becoming the past with 213W, and even 300W mods coming out now. I do actually use high wattage, and I'm too in love with and loyal to the DNA to go anywhere else, so I just figured I'd ask. I can't be bothered to get creative enough for one of these, so this is what you get for my signature. If you are vaping at 200 W maybe set the preheat time to zero, logically if you don't have it with punch = 11 and power = 200 W it may slow down the ramp up. I would try both maxing the preheat and turning it off in your very special case. Since Power = Resistance x current^2 the most you will be able to get out of 50 amps output with a .05 ohm load is 125 watts (you said low ohm Claptons, to me .05 is low ohm). Do you think a 2 x 18650 is going to be outputting more than 50 amps? Some of these companies coming out with 2 x 18650 mods claiming 200 watts and above have no shame when it comes to marketing or over promising and under delivering. When you think about it, most credible companies cap there single 18650 mods at 75 watts. With double the power source available the output capability doubles not triples or more. If these mods could actually produce what they claim it would be with a very limited resistance range for a puff or 2 then the bottom falls out from there. These boards aren't magic, they don't create power, they step up or down voltage and do the inverse with the current minus the boards inefficiency (no board is 100% efficient, but the DNA200 is one the most efficient, if not the most I know of). I just wanted to know if THIS board, in a 3S configuration, would ever get added wattage. I work for FullyMax, so I'm very battery savvy. If the DNA200 got updated to like 225W, I'd never need anymore power than that. 225W is a 12.5% increase in wattage. That is substantial enough to potentially require lower gauge wires. Imagine if a company (let's say VaporShark because that's what I have) made a DNA 200 with wire rated only for 205W. Then Evolv released an update to make the board support 225W. I update my board and cause a fire. I sue VaporShark for burning my house down. VaporShark sues Evolv to get the money they owe me. Moral of the story, it's not going to happen. I don't like deleting or moderating posts so can we please keep it civil, even if another post got your back up. I don't know what you are trying to say here. The maximum input of the board is 24 amps. A 30 amp CDR 18650 is rated at 6 amps over maximum input. The 50/55 amp output has nothing to do with the input being drawn from the batteries. Agree and if you want to talk theory as to how far the board could go, start a new tread as this is for discussion of the early firmware as posted in post one. Folks are here to help or be helped and there are other forums to play in if you want to compare size. If Evolv change the firmware to do this then sure as eggs are eggs people will us it regardless, so if I were Evolv I wouldn't because they have given manufactures a written spec and this would exceed the limits in that. Evolv have always prioritised safety and reliability, having voltage and current limits in the firmware are part of that as it is in modern cars that limit your engine revs in the ECU for the same reasons. We knew it was a 200 W device when we bought it. Anyway the request is here for Evolv to see and comment if they wish. If you are vaping a low-Ohm coil, make sure you/your manufacturer have set a correct, non-zero mod resistance. If it's zero, you may be losing significant power in your 510 connection and wires. The DNA 200 is designed to deliver at most 200 watts to the *atomizer*, but if you are losing 10% of your power before it gets there, this is a viable way to correct the problem. The DNA will happily deliver the needed extra power, subject to its input and output current limits (which, to ensure safety, do not change -- the appropriate wire gauge depends on current, not power). If the mod resistance is set to 0 Ohm, 200W is 42.6A. The output will be 200W, but 18W is lost to mod resistance (reviewers tend to ignore this, but the quality of the 510 has a real effect on battery life at higher power...). The atomizer will receive 182W. If the mod resistance is set properly to 0.01 Ohm, 44.7A will be delivered. The output will be 220W, with 20W lost to mod resistance, for 200W to the atomizer. So, this is not a way to get more than 200W on the atomizer, but it *does* let you get 200W where you might not be otherwise. I have edited one post and deleted several, it is a shame as everybody tried to help the OP. So if increased output could be done with a firmware update, say 225 watts, would it not require a higher amp fuse? It depends. Wattage isn't really a physical quantity. Voltage and current are. There is a minimum and maximum voltage the board can supply (.5-9V). There is also a maximum current the board can supply (50A continuous). The wattage max is really just the maximum you can set the device to. Remember, the board doesn't apply wattage to the coil, it applies voltage. 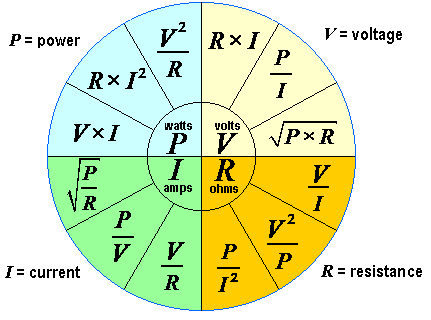 Given the resistance, you can determine the current needed to apply that voltage using V=IR. So if you had a .1ohm load, the board couldn't apply its maximum voltage (9V) because it would draw 90A. So it is limited to 5V, which requires 50A. W = VI, so this is 250W. The board can't do that (see what James said, it actually can go over 200W to some extent). This limitation is just part of the firmware, not hardware. So there is no physical reason the board can't apply 250W in this case (it actually might if your mod has a high resistance). If you had a 1ohm load, the maximum voltage you can apply is 9V. This draws 9A. This is only 81W. This is due to the voltage limitation. If you had a .01ohm load, the maximum voltage you can apply is .5V. This draws 50A. This is only 25W. This is due to the current limitation. So, I probably said too much but in the first case a higher amp fuse isn't required to increase up to 250W (after that yes). In the second case, the fuse is nowhere near maxed out but more than 81W requires the board to be able to apply a higher voltage than it can. In the third case, getting more than 25W would require more current, thus a higher fuse. So sometimes a higher amp fuse isn't needed to increase wattage, sometimes it is, and sometimes it wouldn't make any difference. Btw, we are assuming increasing the maximum current the board handles means the fuse needs to increase. So you are telling me to set the mod resistence really high so I can get more than 200W at the atomizer!!!! Oh. Yeah. Don't do that. You can make it put out 250 watts, easy, from a fully charged battery. It won't hurt the board as such, but you'll basically be pin-balling between various protective features, so the vape won't be any good.